September, 2012 Marks Transit Employee Support Team’s (TEST) first anniversary being a 501(c) 3 non-profit. It has taken two years and thousands of dollars and a lot of hard work to put this program together for the good of all. I’m excited to see so many Transit Workers becoming part of our team through payroll deductions; many have gone beyond our expeditions in their donations. Our ability to help Transit Workers will depend on your involvement, so joint our team and tell your co-workers to celebrate our victories in helping those who need your support by moving forward together as a team. 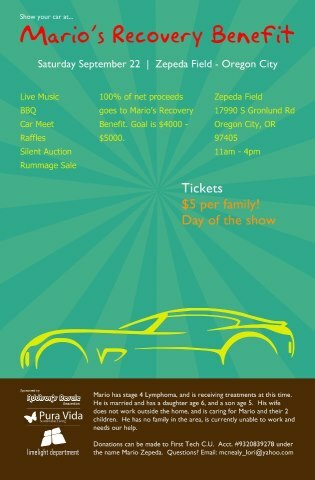 Mario’s Recovery Benefit on Sept 22 was a big success! Organizers had everything from Live Music, BBQ, Raffles, and Silent Auction to a Rummage Sale. 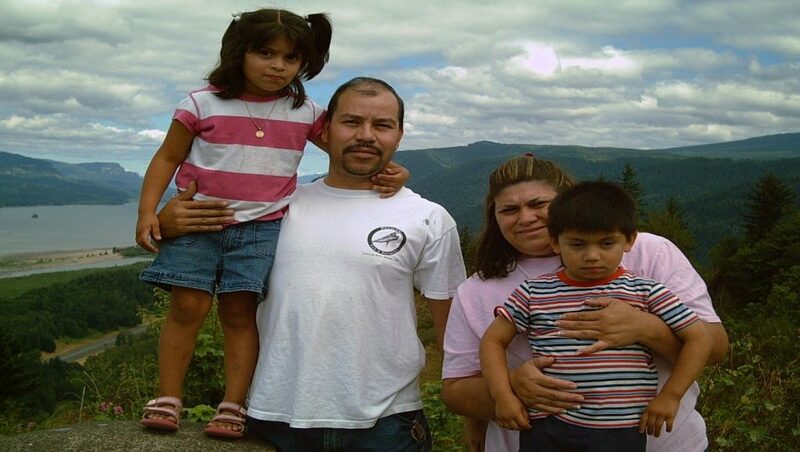 Thanks to Lori McNealy, Leslie Murray, Stuart Linfoot and many many other volunteers who raised over $5,000 dollars to help Mario and his family with the basic needs while Mario focuses on his treatment and recovery from stage 4 lymphoma. Great Job to All! 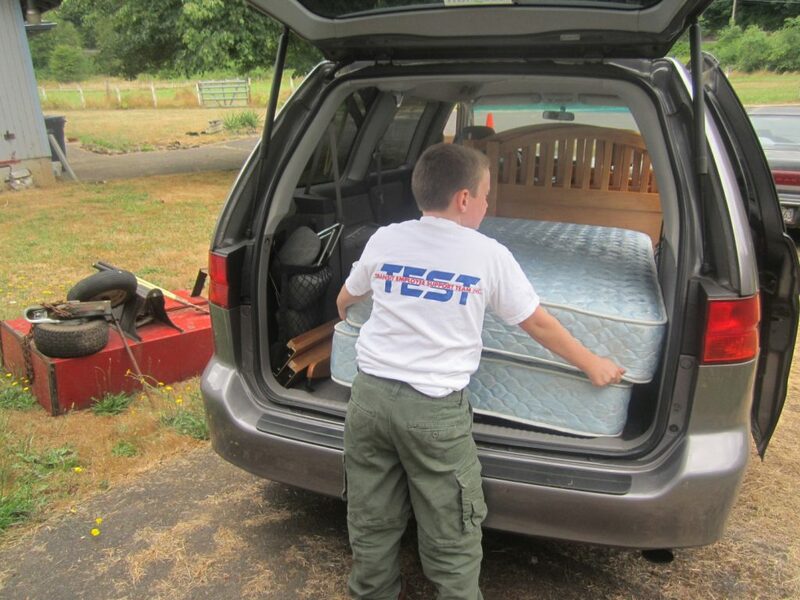 This is my son Matthew Luce doing his part unloading his bunk bed that he donated to raise money for Mario. That’s my boy! If you have any items of value that you would like to donate to help Mario go to “Hope and Help for Mario” (Facebook) for more information. The ATU picnic was a big success. Matthew and I had a great time seeing old friends and meeting new one’s too. Dan Martin worked really hard organizing the picnic which I thought ran smoothly. The food and music was great as well as the prizes. Afterwards Bruce and all the volunteers did an amazing job in the cleanup process. I was excited to see so many people step up to the plate to help Mario and his family through donations and the raffle. I don’t know the final amount of money that was raised for Mario but I’m sure it was several hundred dollars. I also have to thank Matthew my son for manning our booth. He did a great job. ATU Local 757 was honored to have International President of ATU Larry Hanley and International Rep Claudia Hudson attend our July charter meeting and doing the honors of swearing in our new officers. Larry was very informative of the future and direction of ATU and how important the up- coming election will be and how we need to be all in working together as team. Also how important our health care benefits are to all ATU Transit works. Larry also mentioned that ATU will have studies, compiled information of the hazards our profession. This is information that we will have available and others with our Wellness program which should be up by December 2012. Having good health takes work. Our goal is to provide the information to make your journey easier. 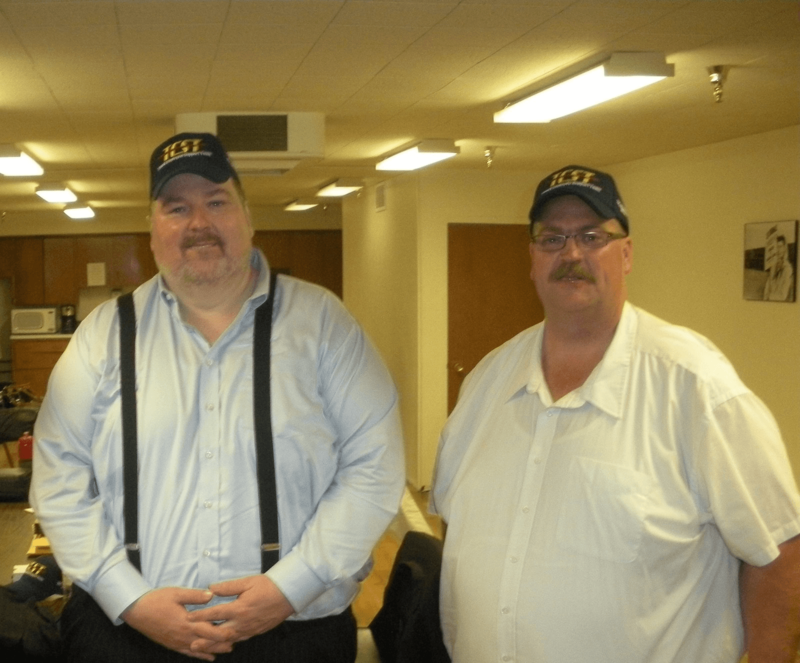 Please note that the picture shows International President Larry Hanley on the left and our very own, brand new ATU local 757 President Bruce Hansen on the right. Go Team! 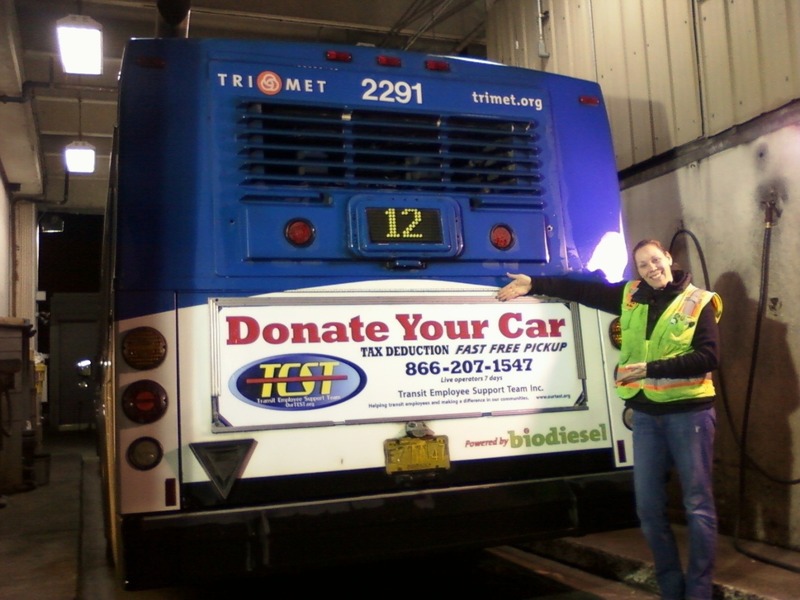 Some of you may have noticed our advertising on the back of thirty Tri-Met buses. This was a donation valued over one hundred thousand dollars from Lamar advertising, one of the largest advertising agencies in the United States and I believe Canada. We want to thank Lamar advertising for donating the space on all thirty buses and Donate Your Car U.S.A. for designing the signs and making this program possible. This will greatly help our cause in getting the word out to who we are and creating revenue from the community making cash donation and donating their vehicles. For more information, go to “Donate Your Car” on our website. One of our first opportunities to bring joy to children came during the 2011 holiday season. We thank Naseer Serranilla for donating animals through Legacy Emanuel Medical Center. Hundreds of children who boarded our buses got a new cuddly friend as a special surprise. The response was overwhelming and rewarding. 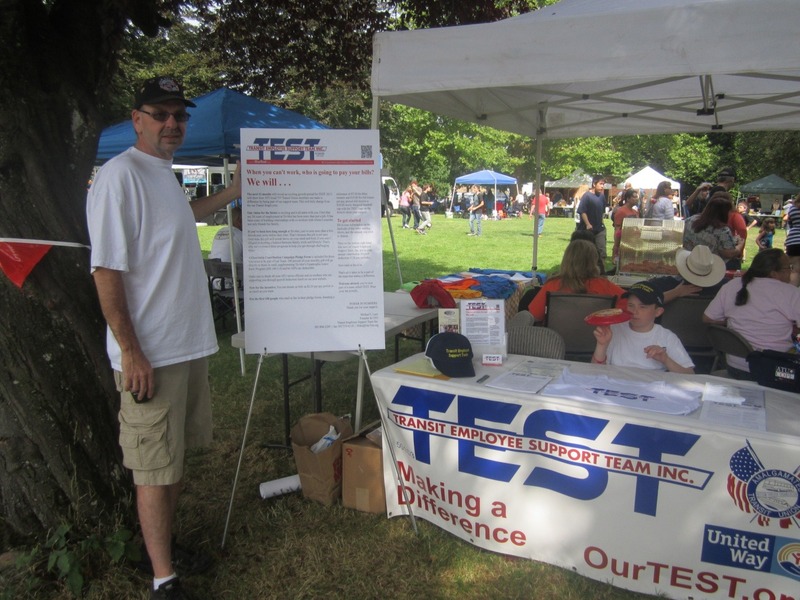 TEST will enhanced a program already a cherished tradition among TriMet employees: the annual Shriners/ A.B.A.T.E. 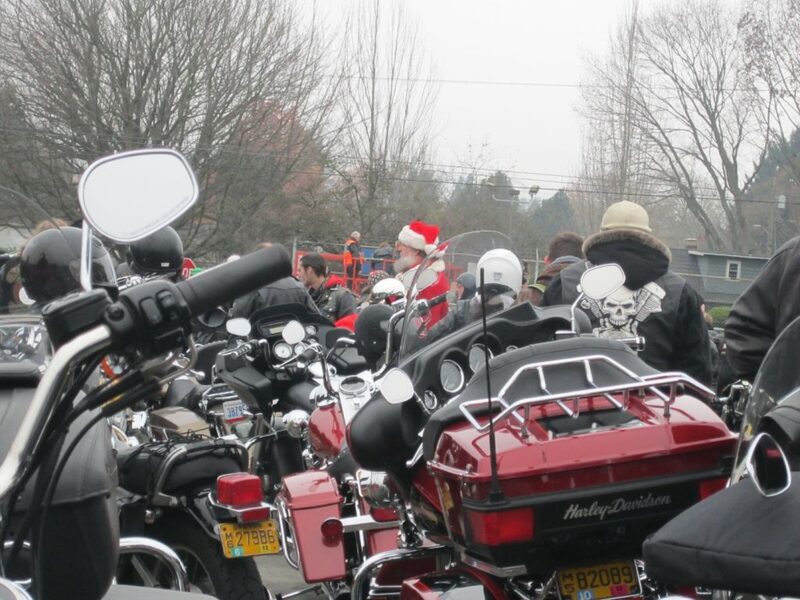 toy run, when one special TriMet bus and dozens and dozens of motorcycles laden with gifts ascend Marquam Hill to the delight of young patients in Shriners Hospital for Children. TriMet drivers have always featured among the bikers on the run, now this years 2012 run will be on Saturday, December first. Bikes will be gathering at center street about 10:00 am and leaving for Shriners Hospital at 12:30pm. If you are planning to bring a gift please look over the items that are needed below, please no stuffed animals. For more information go to www.ABATEtoyrun.com . patients our number one priority. A toy list has been provided for those who need a little assistance in selecting a gift for our patients. 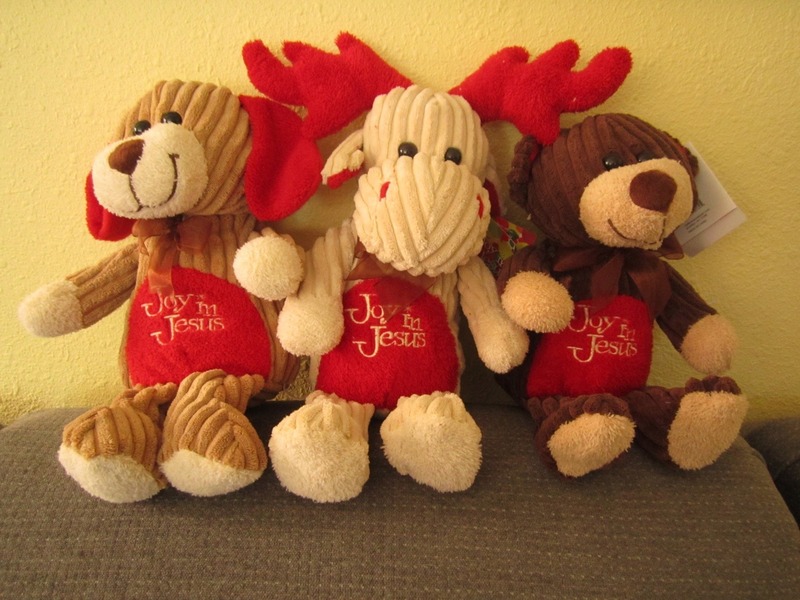 Although the hospital currently has a no stuffed toys policy in place, we will be accepting all of the generous gifts (including stuffed toys) on the day of the toy run. We appreciate all the time and efforts of those that participate in the toy run!